Lessons in TV journalism have come thick and fast over the last two weeks. Lesson two: move fast. We had a hunch that the badger cull would start on Monday (in fact, it did), and we had to put together a film that shed new light on the topic without going over old ground. We decided to focus on the possible TB vaccine for cattle – something that a lot of people have been mooting as a solution to the problem. But where is it? Lesson four: nothing is quite as awesome as seeing all that work crystallize into a nine minute film that looks good, and says what we wanted to say. We spent a day and a half zipping around the south of England interviewing contributors with the legendary John Craven (“They keep asking me to do ‘Strictly’”, he confided, “but they’ve given up trying to get me into the jungle…”), followed by a day in the editing suite. And the result is a great piece that I think answers some important question about the divisive issue of TB in the British Countryside. My soon-to-be producer Matt had clear advice for me when it came to preparing for my four-week placement with BBC Countryfile. “Watch the show,” he said. “And bring ideas.” The latter was a good indication of what was ahead of me – instant integration into a fast-paced production and research team that want to hear what I have to say and suggest. One week in, and already I am relied on for innovative thinking, quick investigation, and ideas – always ideas. 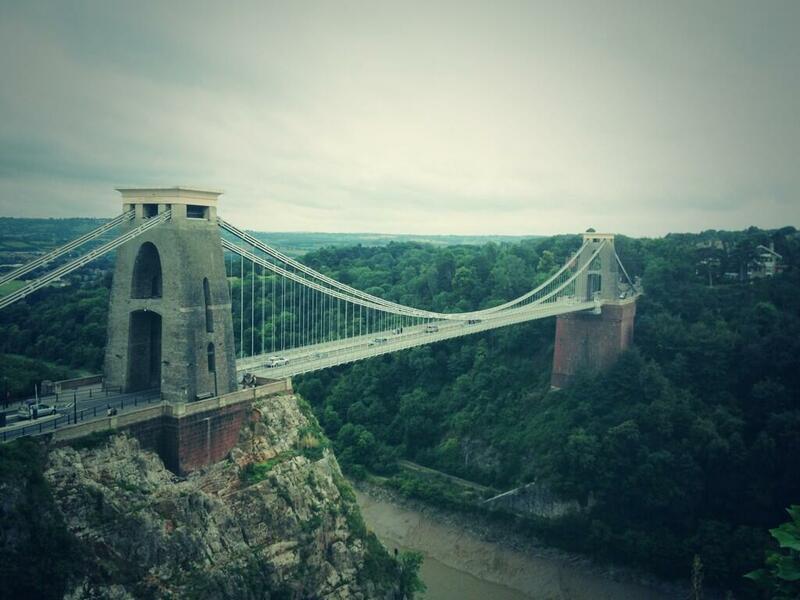 I left the Cambridge summer, seeming to arrive in Bristol just in time for Autumn’s arrival. 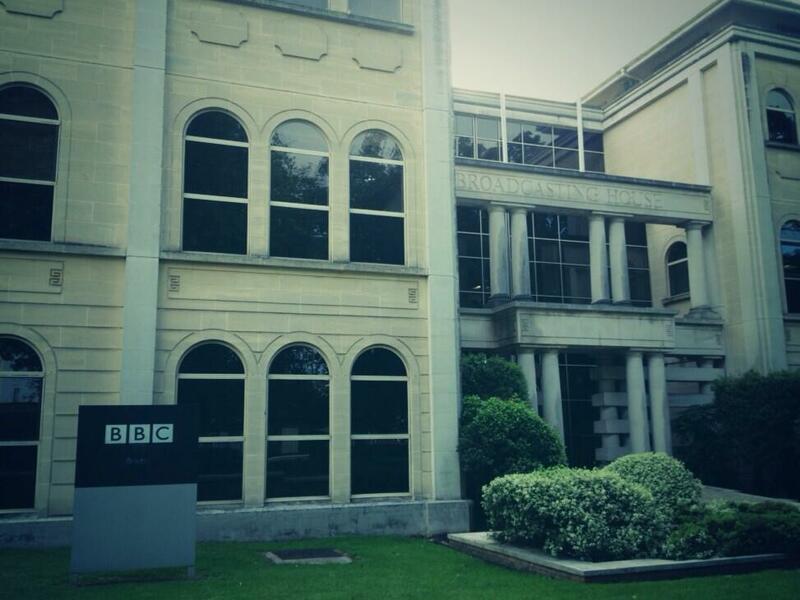 On a blustery August morning I found my way for the first time to Broadcasting House on Whiteladies Road. The BBC has been working from these beautiful Grade II listed buildings since the 1930s, and it was an impressive place to take my first steps into the world of broadcast media. Almost immediately, though, Matt and I were off down the road to the editing suite to take a look at the upcoming programme – last night’s show from Oxfordshire, in a somewhat less polished form. The joke goes that what happens in the editing suite stays in the editing suite, so I couldn’t possibly tell you that the guide voiceover describing the “high and unexpected” Wittenham Clumps had us scratching our heads wondering where they were (Matt eventually removed “high”), or how long it took to perfect that beautiful opening sequence (which I trust you enjoyed). Tom Heap popped in to take a look, and I sat in as he added his voiceover, bringing the investigative segment to life. Beginning as a set of component parts, the programme took shape in front of me – and there was still a lot to do in the five days before its broadcast. A day where I mostly sat on a comfy couch eating biscuits and drinking tea felt like a productive, action-packed frenzy. It became clear that the amount of planning, research, filming and editing that has to happen in a short space of time was going to mean a brisk schedule – no flies on this bunch. As the week progressed the focus in the office turned more to the weeks ahead – and from my point of view, to September 15th, when the episode I’ll be working on will air. The teams working on the features segments know where they will be and what they’ll be working on – but what about us, working on the lead investigation? We’ll be sending Tom Heap to investigate something, and it has to be topical, current, and most importantly, something able to be covered thoroughly and responsibly in 12 short minutes of Sunday night telly. … but that would be telling! More later this week.